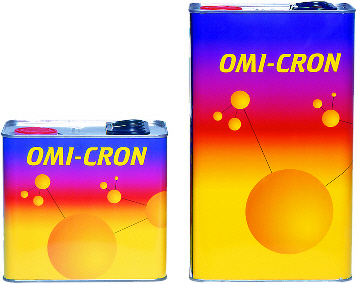 Omi-Cron 2K Clear lacquer in a 5 litre tin, comes supplied with 2.5 litres of Omi-Cron Express Activator. This Clear Lacquer requires mixing 2:1 with a universal 2K activator (suppplied) + 10% 2K thinners, giving just over 7.5 litres of material. Can be used over solvent based basecoat, waterbased basecoat, and cellulose colour. This can also be purchased with the Express Activator.